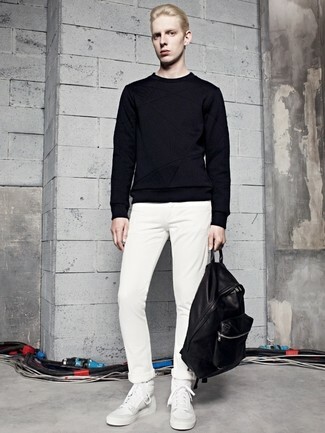 If you're hunting for a casual yet on-trend look, wear a Dolce & Gabbana millennials sweater and white chinos. Both pieces are totally comfortable and will look great together. To break out of the mold a little, opt for a pair of white leather high top sneakers. 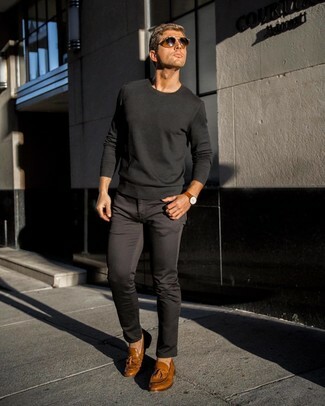 Reach for a black crew-neck sweater and navy ripped skinny jeans if you're on the hunt for an outfit idea for when you want to look casually cool. And if you want to instantly up the style ante of your look with one piece, add tan leather brogues to the equation. If you're looking for a casual yet stylish ensemble, try pairing a Dolce & Gabbana millennials sweater with grey jeans. Both items are totally comfortable and will look great paired together. 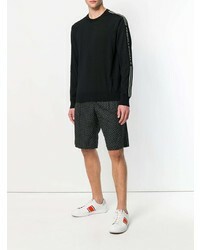 When it comes to footwear, this getup pairs really well with white leather low top sneakers. 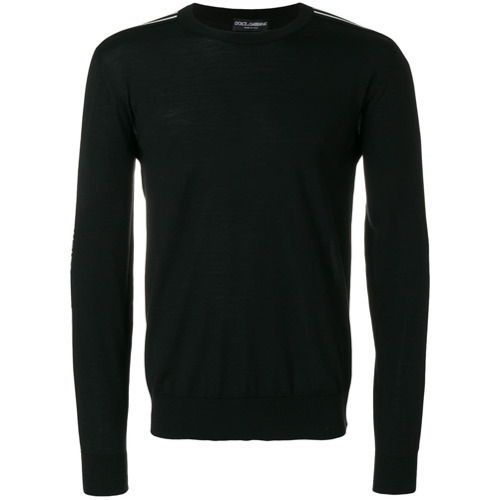 If you're after a casual yet stylish ensemble, pair a Dolce & Gabbana millennials sweater from farfetch.com with black chinos. Both pieces are totally comfortable and will look great paired together. 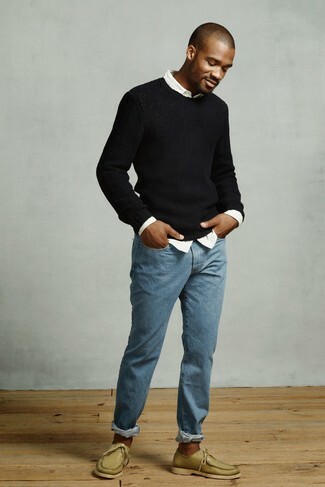 Reach for a black crew-neck sweater and blue jeans to prove you've got expert menswear prowess. Our favorite of a multitude of ways to finish this getup is a pair of olive leather boat shoes. 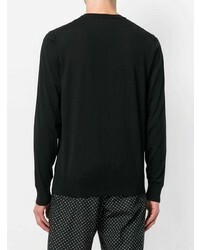 When the setting allows a laid-back menswear style, marry a Dolce & Gabbana black crew-neck sweater with black chinos. Tap into some David Beckham dapperness and complete your outfit with tan leather tassel loafers. For a nothing less than incredibly stylish ensemble, try teaming a Dolce & Gabbana millennials sweater with navy dress pants. 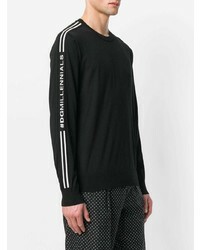 This combination of a Dolce & Gabbana Millennials Sweater and black sweatpants is a nice ensemble for when it's time to go casual. 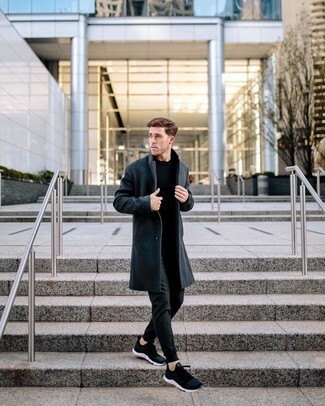 You could perhaps get a bit experimental with footwear and tone down your look by wearing black athletic shoes. 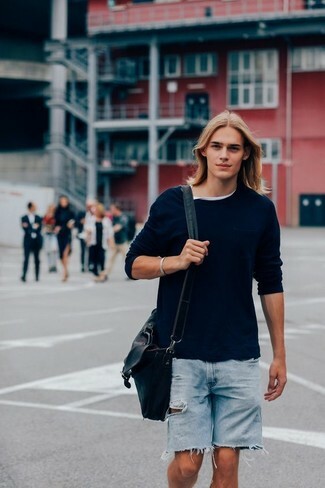 If you're all about relaxed dressing when it comes to your personal style, you'll love this stylish combination of a Dolce & Gabbana millennials sweater and light blue ripped denim shorts.